She stood there with the other women in the throng of people who had gathered to witness the event. Her countenance was heavy, her heart was full of grief and sadness. The noise and shouts of the crowed were drowned out by the overwhelming ache she felt within her heart. With her head bowed, her thoughts journeyed back to his boyhood days remembering the joy and excitement which he had brought into their lives. The lad was the apple of his Dad’s eye, they went hunting together, fishing and even assembled weekly with others to worship God. The couple had great hopes and plans for the boy, but alas he fell into the wrong crowd. Now she was standing there watching her unrepentive son face the consequences for his sin. Her son was brought up in a home that worshiped God. He knew right from wrong, but…………..her thoughts came to a sudden halt………..her ears picked up on a nearby conversation…”What did he do?” “Did he murder someone?” “Was he a thief?” She glanced at the woman beside her, she could see the intense hurt within her swollen eyes. and then it dawned on her…………..he was innocent; a man condemned to death because he was hated by the people. They are saying that he claimed to be God! Is He indeed the promised Messiah? With a renewed understanding the women once again turned and gazed upon the three crosses. Her son was on the right; the other woman’s son was in the middle. His name was Jesus. 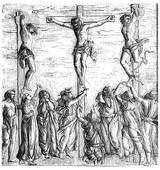 The crowd grew silent, there was a conversation between those who were being crucified. She strained her ears to listen. She heard one of the malefactors say, “If thou be the Christ, save thyself and us” And then, her son spoke, “Dost thou not fear God, seeing thou art in the same condemnation?’ And we indeed justly; for we receive the due reward of our deeds; but this man hath done nothing amiss.” As she watched in amazement she saw her son turn toward this Jesus and say, “Lord, remember me when thou comest into thy kingdom.” Excitement began to fill her heart, is she hearing what she thinks she is hearing? Can it really be? All of her doubts were wondrously eliminated once the words of Jesus fell upon her ears. “Verily, I say unto thee, Today shalt thou be with me in paradise.” Her son repented! This is perhaps the most profound ‘death-bed‘ conversion ever recorded. This once sorrowful mother of a prodigal son, left that day knowing that he had repented and was with Jesus in glory. Can you just picture her walking with Mary, together toward their respective homes. 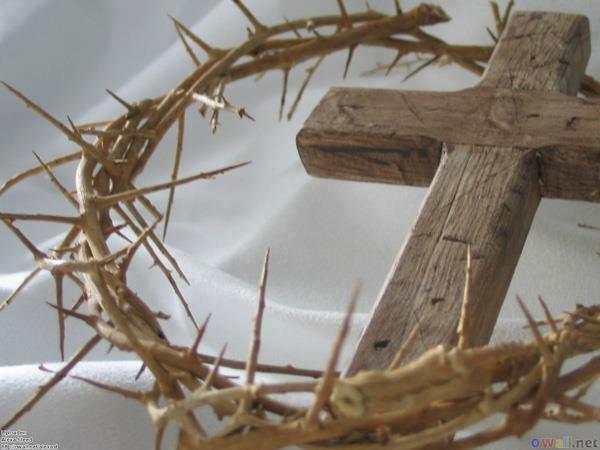 Their souls most assuredly were filled with the wonder of the miracle that just took place at the crucifixion. Yet, how much more would they rejoice in just three short days! This event has been recorded as the Greatest Story ever Recorded. Jesus was born to die upon Calvary for our sins. He became sin for us; He knew no sin. It began in that manger where he was wrapped in the swaddling burial cloths, a foreshadow of His Father’s will for Him. My friend, Jesus ended his earthly life doing exactly what He was called to do – save the Lost. The thief was saved just prior to his soul being taken into eternity. There are two lessons here, maybe three. 2. God gives us every opportunity to repent of our sins while we are alive and remain. 3. Keep praying for your prodigal………….It may well be that salvation may come to that lost soul.